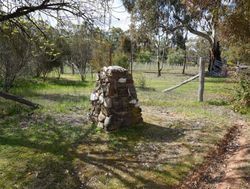 A monument commemorates the discovery of the Blanche Barkly Nuggett in 1857. 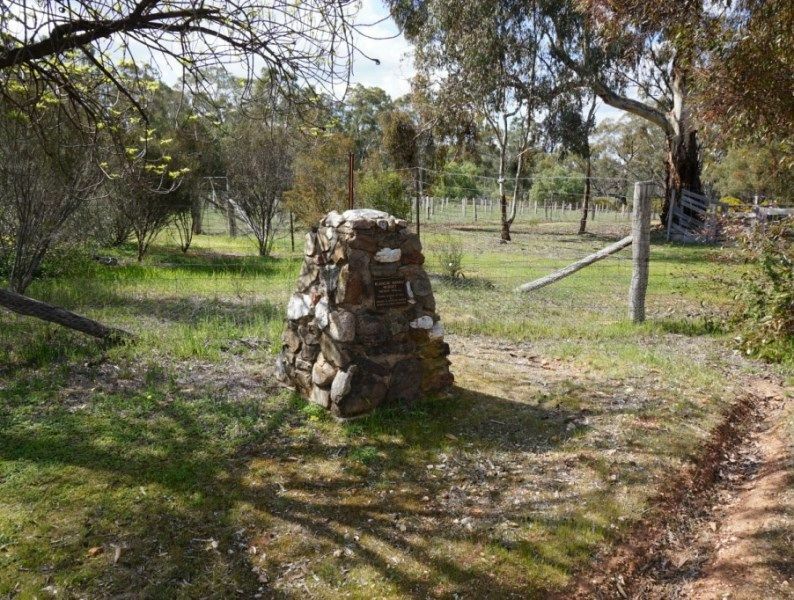 The nuggett was named for the daughter of the governor of the colony at the time. In August 1857, Robert and James Ambrose and Samuel and Charles Napier discovered the nugget, which at that time was the world's largest gold nugget, weighing in at 1743 ounces. 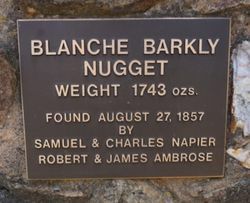 The Blanche Barkly remains the third largest gold nugget ever discovered to this day.